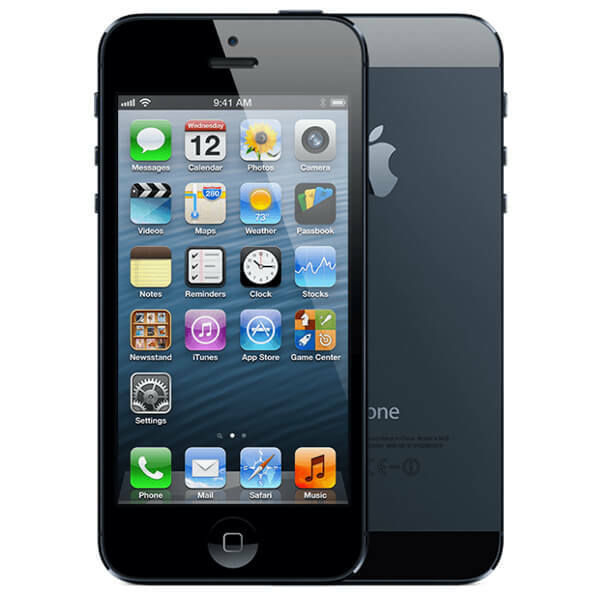 The Apple iPhone 5 comes with a 4 inch touchscreen display with a resolution of 640 pixels by 1136 pixels at a PPI of 326 pixels per inch. It is powered by 1.3 GHz dual-core Apple A6 processor and it comes with 1GB of RAM. Connectivity options include Wi-Fi, GPS, Bluetooth, 3G and 4G. Sensors on the phone include Compass Magnetometer, Proximity sensor, Accelerometer, Ambient light sensor and Gyroscope.